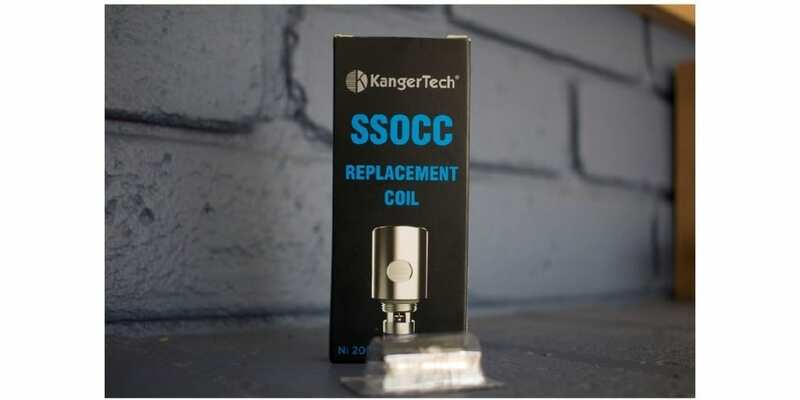 Kanger SSOCC 0.15Ohm Ni200 Coils Review - Daily Vaping Deals & The Best Vape Product Reviews at Vaping Cheap! SSOCC stands for Stainless Steel Organic Cotton Coils and they come in a packet of 5. 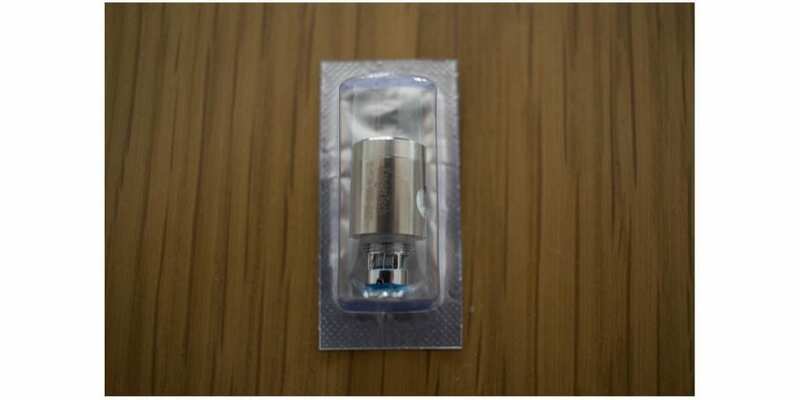 The coils are individually wrapped in a blister pack, just like the previous versions of Kanger subtank heads. I was initially confused about having stainless steel in the name, however Kanger has utilized Ni200 as the heating element and stainless steel as the body housing of these coils. In this line of stainless steel coils, the rubber grommets are blue differentiating them from the kanthal coils which have a red grommet. The 0.15 ohm coils are the only heads in this SSOCC line that use Ni200 as the heating element. Kanger recommends using these heads from 15 watts up to 50 watts. This is a most comfortable range for most TC mods on today’s market. The vertical coils are wicked with organic cotton, claiming to provide a clean and pure taste. The vertical setup is based on the theory that there is more airflow and less resistance when travelling vertically up toward the drip tip. The body of the coils is round, not square, more along the lines of the original Subtank RBA section. There are 2 extra airflow/wicking holes than in the previous iterations of Subtank coils. I have not experienced any spit back at all from these coils, even at the highest recommended setting of 50W. I do, however, notice some liquid in the drip tip from time to time. 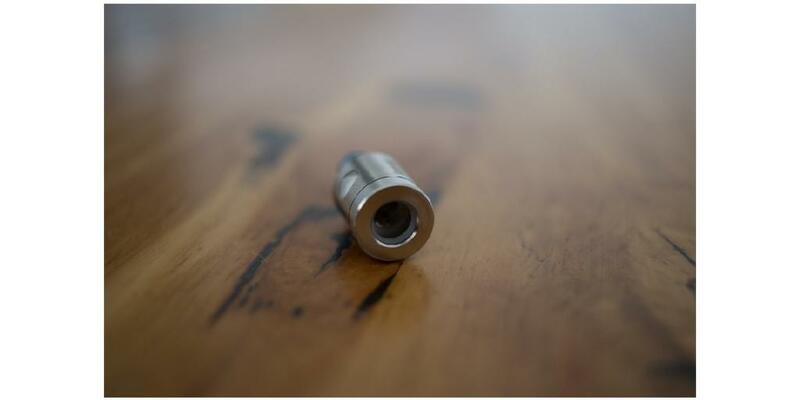 This is most likely due to condensation forming in the drip tip form the normal course of vaping. There is definitely no e-liquid in your mouth when vaping, or annoying spit back onto your tongue. Unlike many of the stock manufacturer coils, the break in period for these is very minimal. Kanger recommends starting at the lowest setting and working your way up while breaking in the coil. I was up to full temperature in about half an hour. There was very minimal cotton taste while breaking in the coil and it was certainly gone once full temperature level/desired temp was reached. 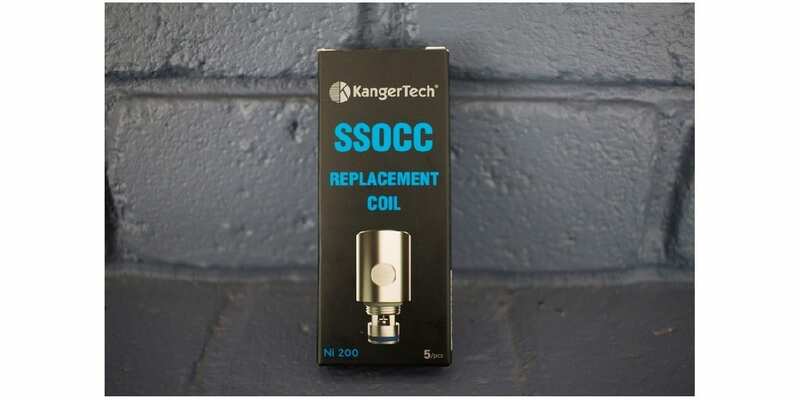 Kanger is very specific about priming the coils before use and then also letting the tank sit for a while to let the juice seep into the coil. This is to ensure that the wicks are fully saturated before vaping as to not burn the cotton and embed a burnt flavor into them. I have not experienced any popping from these coils, even when the subtank has rested overnight or for a few hours. There is nothing worse than picking up your mod after the atty has rested for a while and you get that huge pop of e-liquid vaporizing suddenly. These particular heads are very consistent in the way they vape and just seem to crackle away nicely. In terms of taste, I would rate these heads as quite pure and neutral. They do not seem to mute any particular nuances of your e-liquid, on the other hand they also don’t bring out anything special in your e-liquid either. So I would say these are spot on for regular everyday on the go vaping. Vapor production is good, and this obviously depends on your ramp up time and temperature levels. As you have to vape these at a higher wattage than you would regular kanthal heads, there is a quicker ramp up time and increased vapor production. The vertical setup and extra air holes definitely do not restrict the pull on these coils, if you like a wide open draw you will enjoy these. You will have to rely on your atomizers air flow to turn down the airflow if you are after something more restrictive. I have not experienced any leaking what so ever with these coils. Even when the tank is very low/almost empty there has been no lost e-liquid. I also had the tank lying down on it’s side overnight to test for leaks and so far there has not been a drop. Wicking holds up very well, I have not experienced a dry hit ever. The air bubbles rise out of the air holes after every few pulls. There are an extra set of air holes on each side in this design, which maybe attributes to the superior wicking. As a test I tried the coils with a high VG blend e-liquid and did not find any difference in wicking or performance than with a 50/50 blend. Good news for those that prefer thicker e-liquid or have PG sensitivities. Being an Ni200 heating core, these coils enable you to utilize temp mode in it’s intended use for the specific juice you are vaping. You can have a slow ramp up time to bring out the full flavor at an optimal temperature then level out to your desired hotness/coolness of vape. As mentioned earlier, being Ni200, the heads ramp up quicker than kanthal and they seem to cool down quicker too. They don’t leave your atty singing and sizzling after each drag. To begin with the coils were reading at 0.2ohms, then when broken in they are consistently sitting at 0.17. I have not experienced any resistance jumping with these coils even without locking down resistance. They appear to read the same ohms on an ohm meter as well. In terms of lifespan I have easily done almost 3 weeks of moderate vaping on one single coil without having to change it out yet. The flavor is still as good as once it was broken in. This will obviously depend on your own personal usage, temp settings and e-liquid. If you are constantly chain vaping or if your juice is dark and sweet your mileage may vary, but personally for my usage, I am happy with the lifespan on these heads. Kanger is very specific about not using these coils in wattage (power mode). They are designed to be used in temperature control mode for Ni200 only. 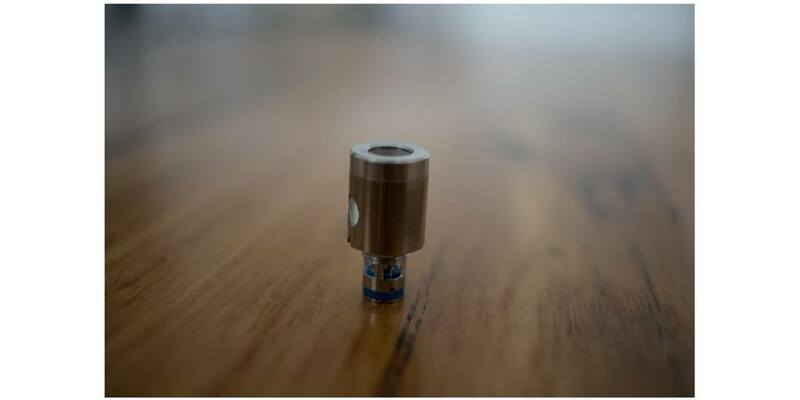 Also, ensure that your mod is capable of handling resistances as low as 0.15 ohms before going out and purchasing these heads. Overall, I am happy with the performance and usage out of these coils. Purely based alone on the cost versus lifespan, these coils are a good choice for all day vaping.